The Dominican media is reporting that Jocelerme Privert, interim president of politically-deadlocked Haiti, traveled by helicopter to the Dominican Republic, seeking treatment at Santiago Metropolitan Hospital. 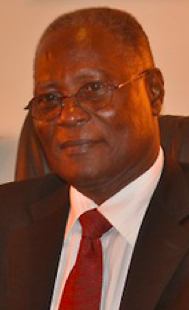 Mr. Privert was appointed leader of Haiti after opposition withdrawal from the elections resulted in street unrest and botched elections. The current political turmoil comes over a decade after a Washington-backed coup destabilized the democratically-elected government of Jean-Bertrand Aristide. Since the fall of Mr. Aristide's government, Haiti has faced street battles between his supporters and United Nations troops conducting peacekeeping operations in the country. The island was on the road to recovery, but an earthquake in 2010 destroyed most of what little infrastructure the country possessed, exacerbating a humanitarian crisis of unparalleled proportions in the Western Hemisphere. UN peacekeepers from Nepal released cholera into a river which was used as drinking water for many people, resulting in the pandemic spread of a disease unheard of in modernity. In the midst of all this chaos, the country's interim president has been struck by cholera. Although the Dominican corporate media reported that Mr. Privert traveled to Santiago by helicopter for a routine check-up, local radio reported that it was an impromptu visit, and that the level of security and secrecy around the hospital wing where the head of state was treated was much greater than that afforded even to the Dominican president. There are unconfirmed reports that the Modern Revolutionary Party, an ultra-right wing party allied with neoconservative icon Rudy Giuliani, is using cholera as a weapon to destabilize the Dominican Republic, thereby stealing the elections from the current president. If these reports are true, there is a very real probability that elements within Mr. Giuliani's party are directly attacking Haiti's unstable leadership, hoping to spark a migration crisis to be used against the Dominican Republic's ruling party.